When e-cigarettes were introduced in the U.S. in 2006, they were promoted as a safer alternative to smoking. Users inhale nicotine-infused vapor, without the mix of carcinogenic chemicals found in regular cigarettes. E-cigarettes and vaporizers (which produce large, fluffy clouds of vapor) have gained popularity among current and former smokers, as well as those who have never smoked, including teenagers. The idea that e-cigarettes are safe is so widespread that some smokers are switching from cigarettes to e-cigarettes. Since e-cigarettes are relatively new, there isn’t much research linking them to specific diseases. However, most doctors would probably agree that sucking clouds of nicotine-laden vapor (propylene glycol or vegetable glycerin) into your lungs is probably not a good idea. But now, two recent studies suggest e-cigarette users risk harming their airways, suffering bacterial infections, and compromising their immune system. 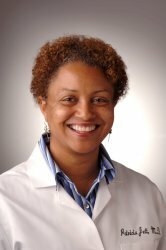 Airway inflammation: In experiments with mice, researchers at the University of California, San Diego School of Medicine and Veterans Affairs San Diego Healthcare System found that mice exposed to e-cigarette vapors were more likely to suffer inflammation of their airways. They also observed that e-cigarette vapor appeared to make bacteria – including the antibiotic-resistant MRSA “superbug” ─ more dangerous. Twenty-five percent of mice infected with MRSA died after exposure to e-cigarette vapor, compared to zero mice that weren’t exposed. In fact, the vapor seemed to make bacteria thrive. 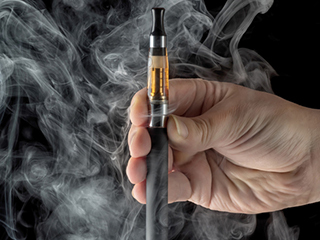 The study did not link e-cigarette vapor to specific diseases. However, scientists noted that some of the physiological changes observed in the mice are also found in the airways and blood of cigarette smokers, while other changes are found in people with cancer or inflammatory lung diseases. Bacterial infection: In a second study, researchers at Johns Hopkins Bloomberg School of Public Health exposed mice to e-cigarette vapor and then subjected them to Streptococcus pneumoniae, bacteria responsible for pneumonia and sinusitis, or the virus for Influenza A. Mice exposed to e-cigarette vapor were significantly more likely to develop compromised immune responses to both the virus and the bacteria, which in some cases killed the mice. Since e-cigarettes have not been fully studied, it isn’t known what their long-term effects may be, but public officials aren’t waiting to find out. At least 38 states place restrictions on the sale of e-cigarettes to minors, and more than 100 cities have prohibited the use of e-cigarettes in public places. Also, the FDA Center for Drug Evaluation and Research has proposed regulating them as tobacco products. More research is needed, but the two studies cited in this article do suggest that e-cigarettes are not the safe alternative to smoking people once thought they were.